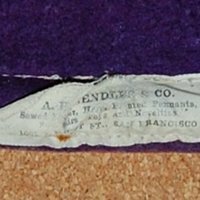 A purple felt pennant, with red top border, measuring 28 inches in length and 11 inches in width. 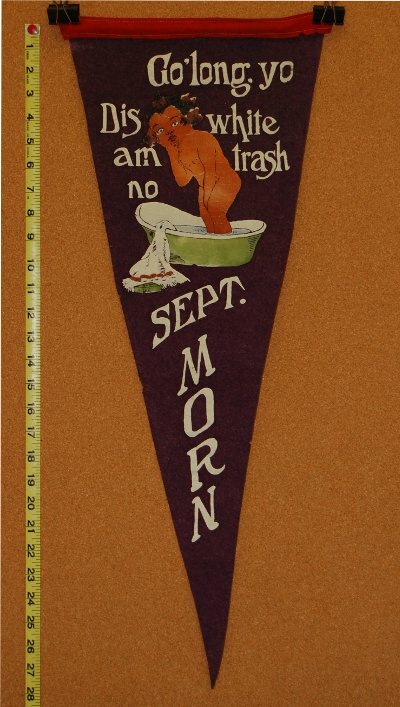 The pennant features an image of a young African-American girl and the words "Go long yo Bis white trash am no Sept. Morn." 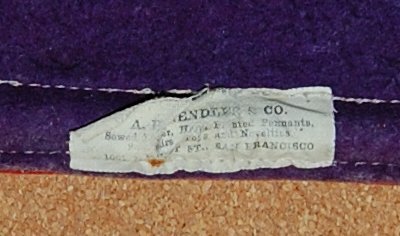 In its racist parody of Chabas's painting this pennant is very similar to this postcard which features a widely reproduced parody image, and one that is nearly identical to the image/theme of this pennant. Similar racist images, however, were quite common in parodies of the painting. 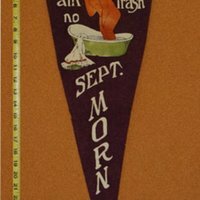 "Purple September Morn Parody Pennant," in September Morn Archive, Item #61, http://septembermorn.org/items/show/61 (accessed April 21, 2019).